Once or twice a year, I’ve found it’s helpful to revisit my pets’ healthcare routines and look for areas where I can step up my game. As with so many other things, it’s just too easy to go on autopilot and keep doing things the way I’ve always done them. During one of these routine “pet check-ins,” I decided I needed to start paying extra attention to their eyes and ears. 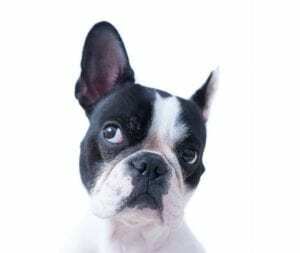 If you’re like me, eye and ear care can get pushed way down on the list of things to do for your pet – somewhere after the vet visits, dog walks, litter scooping, feeding, playing and cuddling. But there’s no reason it needs to be that way. With the right techniques – and the right products – keeping our furry friends’ eyes and ears clean, clear and healthy is a breeze! There’s nothing I love more than gazing into my dog Chilly’s soulful eyes. Or watching my cat Olivia excitedly monitor a bird from her window seat in the house. And both of these are great reminders of how important it is to keep their eyes healthy and sharp as long as possible. Keeping a close eye on the eyes is the first step to catching any small issues before they become big problems. Regularly cleaning and grooming the eyes can also help your pet avoid infections, relieve allergies, and contribute to their overall health. Of course, cleaning something as sensitive as the eye can be a little bit intimidating. I recommend starting with this great video by veterinarian Dr. Mindy, which demonstrates how safe and easy it is to rinse the eyes with Vetericyn Plus All Animal Eye Wash. I use the Eye Wash for both Chilly and Olivia. (Yes, I can actually use it on my cat without ending up with battle scars. That’s how simple it is!) It’s gentle, doesn’t sting and they tolerate it without a fuss. I’ve also found it’s great for rinsing away any dust, dirt or sand from Chilly’s eyes after he’s been romping in the yard or on the beach. If I happen to notice any pinkness or irritation, the Vetericyn Plus All Animal Ophthalmic Gel is my go-to for quick relief. It’s especially helpful for Chilly during allergy season when his eyes can become itchy and inflamed. I like that it doesn’t contain any antibiotics but is still highly effective and provides almost immediate relief. Of course, despite our best efforts, our pets’ eyes can still become infected or injured. So if you notice any of the following symptoms, be sure to make an appointment with your veterinarian right away. Did you know that ear infections are one of the leading reasons for vet visits? This is especially true of dogs, who make it their business to stick their heads in bushes, roll in the grass or mud, swim in dirty water and indulge in other doggy deeds. 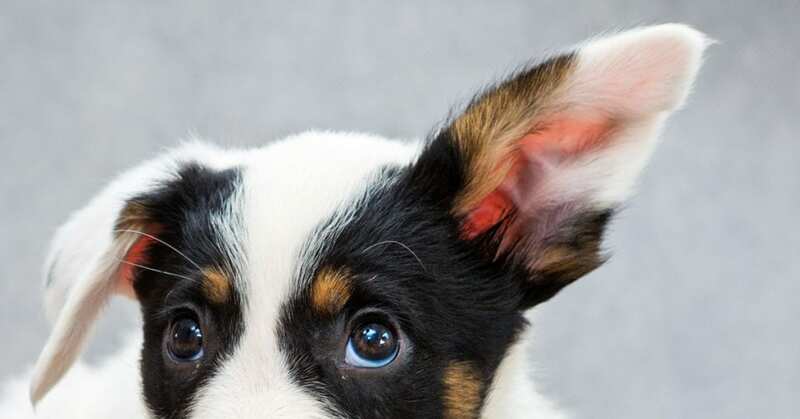 Because a dog’s ear canal is shaped like an “L,” that means all that dirt, grime and gunk can get caught deep in the canal where it’s dark and moist. This is a perfect breeding ground for bacteria, which can lead to a painful ear infection. Any dog can get an ear infection but dogs with hair in their ear or long earflaps are especially susceptible. The good news is that regular cleanings can stop this cycle in its tracks – and it’s really easy to do in a just a few steps with Vetericyn All Animal Ear Rinse! You can even use it for cats, especially those who spend a lot of time outdoors. If your pet has an earflap, hold it up to expose the canal. Move any hair away from the ear canal. Do a quick visual inspection to check for swell, discharge or abrasions. Squeeze a few drops of the Ear Rinse into the canal. Using a soft cotton ball or gauze (never a Q-tip), wipe away any remaining moisture from the outer part of your pet’s ear. And that’s it! Easy peasy! I clean Chilly’s ears about once a week and it only takes a minute or two out of my day. If you’re still not convinced, check out Dr. Mindy’s how-to video below. As you can see, it only takes a small amount of time and effort to make a big difference in your pet’s health. 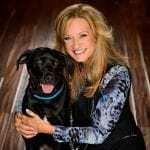 Kristen Levine is a pet expert, author and adoption advocate. She believes we need pets as much as they need us, and thus founded the Kristen Levine Pet Living blog, where she shows us how to live happier, healthier lives through pets. Kristen lives in Florida with her husband, dog (Chilly), cat (Olivia) and two miniature donkeys.